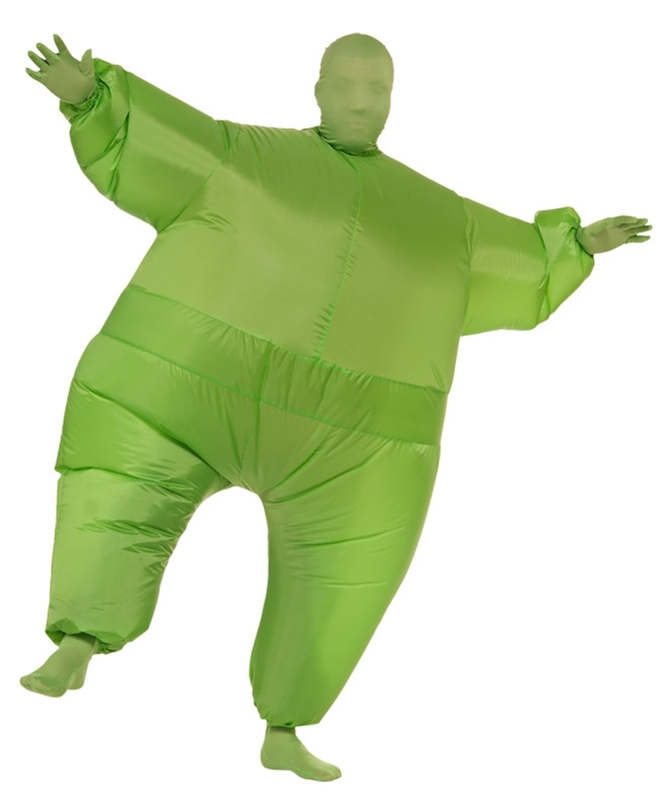 This Green Inflatable Jumpsuit Adult Unisex Costume is great for creating your own superhero or space-age villain costume and is sure to generate a ton of laughs along the way. It includes inflatable jumpsuit, mask, gloves, socks, and battery pack with fan. Requires 4 AA batteries (not included).